Conditions of thought, memory, and desire, persuaded by impulse and irrationality, are influenced as well by personal aesthetics and private meanings. Spend your time on those who love you unconditionally. 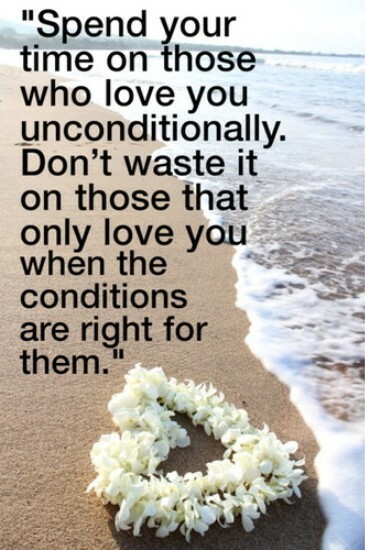 Don’t waste it on those that only love you when the conditions are right for them. At times you feel like you’re the only voice speaking out to improve the working conditions of people, whether it’s to be able to collectively bargain, to get adequate pay, to know that you can come home safe out of a coal mine. We believe that what we possess we don’t ultimately own. God is merely entrusting it to us. And one of the conditions of that trust is that we share what we have with those who have less. So, if you don’t give to people in need, you can hardly call yourself a Jew. Even the most unbelieving Jew knows that. Although as a sailor I despised politics – for I loved my sailor’s life and still love it today – conditions forced me to take up a definite attitude towards political problems. When you’re C.E.O., you have to have two conditions: first, shareholders need to trust you and want you to head your company. The second is that you need to feel the motivation to do the job. So, as long as both are reunited, you continue to do the job. And today, they are reunited.